Saffron Consultancy Services has successfully helped several candidates migrate to Canada The Express Entry announced wef 1st January 2015 continues to attract a huge amount of interest Canada has one of the most positive immigration policies in the world in terms of standards of living, the United Nations has voted Canada as one of the best places in the world to live. The Citizenship and Immigration Canada (CIC) has launched a new Electronic System known as Express Entry on January 1st, 2015. Itâ��s designed to manage the applications for Permanent Residence (PR) in economic programs. 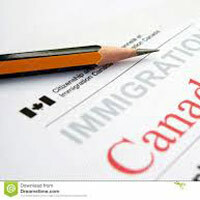 The new system aims to make it much quicker for skilled foreign workers to gain permanent residence visas than before. The successful applicant will have his/her application processed in six months under Express Entry program. Under Express Entry system, applicants will be able to submit an 'expression of interest' to the Canadian government. Applicants will provide their details will be entered into a database. Employers who are seeking foreign skilled workers will have access to some information from the database and will be able to select suitable candidates. The top ranking candidates will be picked unconcerned to the fact that they are accepted in the pool. Step 2: The highest-ranking candidates in the pool will be invited to apply for permanent residence. Candidates will be graded against others in the pool using a pointâ��s based system called the Comprehensive Ranking System. Points will be awarded on the basis of the information provided in their profiles. Candidates will be assessed against others within the pool and top ranked based on criteria that are known to come up with a newcomerâ��s economic success in Canada. Only the highest-ranked candidates and those with valid job offers or provincial/territorial nominations will be invited to apply for permanent residence. Anyone who does not have the job offer supported by a Labour Market Impact Assessment or a nomination from a province then they must register themselves with the Employment and Social Development Canadaâ��s Job Bank. If someone is invited to apply, they will have 60 days to submit an online application for the permanent residence. Candidates can stay in the pool for up to 12 months. In case they do not get an invitation to Apply for permanent residence within the 12 months of submitting an express entry profile, they have to submit a new profile. Saffron Consultancy Services in conjunction with experts who are into Canada PR consultancy for more than a decade, helps several prospective skilled candidates in migrating to Canada. Becoming a permanent resident of Canada requires submitting an application and getting a passing score on the point system. You'll need to submit documentation of your age, work experience, education, and more in order to qualify for permanent resident status.